Stand Up Magic is ideal for formally organized theater or sit-down dining affairs . With this kind of show, your guests can sit back relax and enjoy magic the way it was meant to be seen. 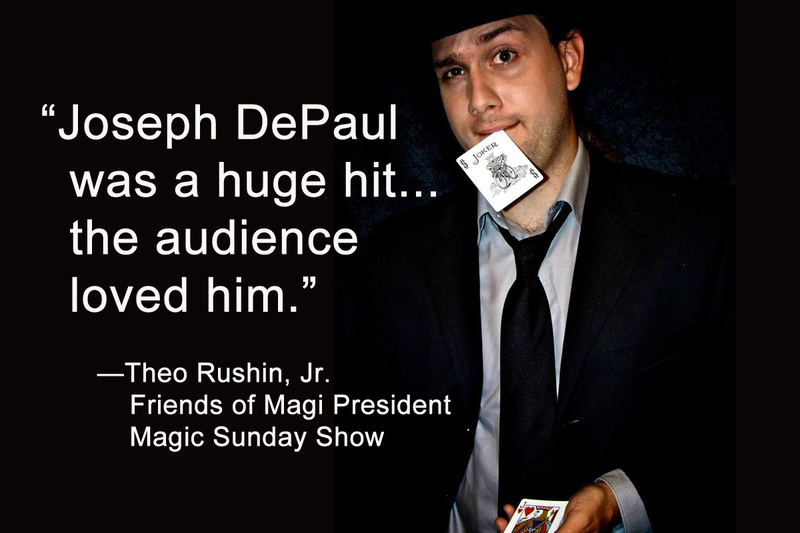 Stand-up magic, sometimes calls platform magic, is perfect for groups of 25 to 500. 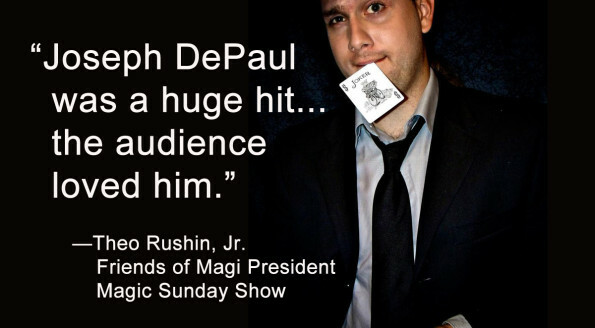 For very small groups, a Close-Up Magic show is magic at its most simplest, most direct and purest form. Normally for a group of 5 to 15 people, close-up magic is where the audience is right at the table with the magician, interacting with him and participating to the point where they feel like they are part of the show. Call Joseph today at 757-632-0264.